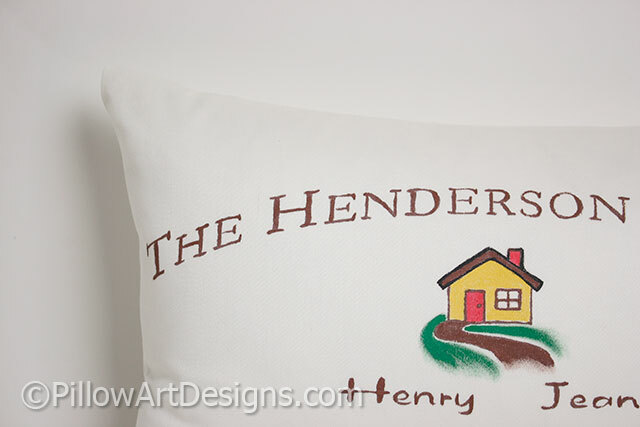 Personalized lumbar pillow with family names hand painted below a cute little house graphic. Outer fabric is cream cotton polyester, cover is fully lined with white cotton polyester. Down feather insert is included with your purchase. 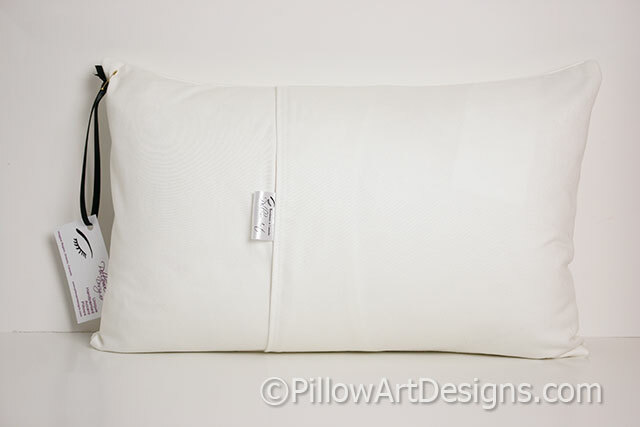 To order, purchase this listing with the corresponding number of names required and remember to contact me here with the names you wish for the front of the pillow. 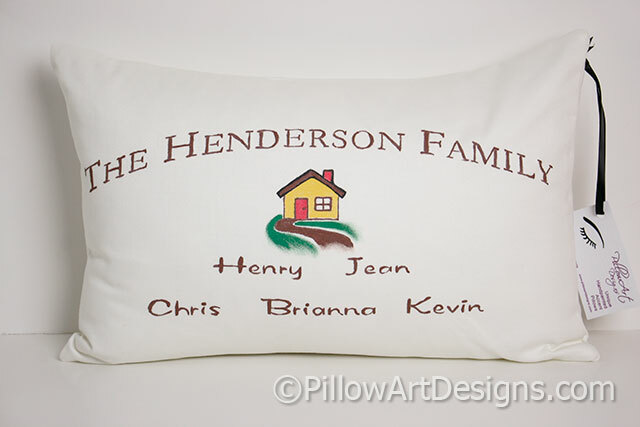 I will send you a graphic to approve before beginning work on your Family Names pillow. Please allow me one to two weeks to complete your order, depending on my workload at time of order.